Ariana Grande is currently touring in support of her back-to-back albums Sweetener and thank u, next, but she hasn't stopped cranking out new music on the road. 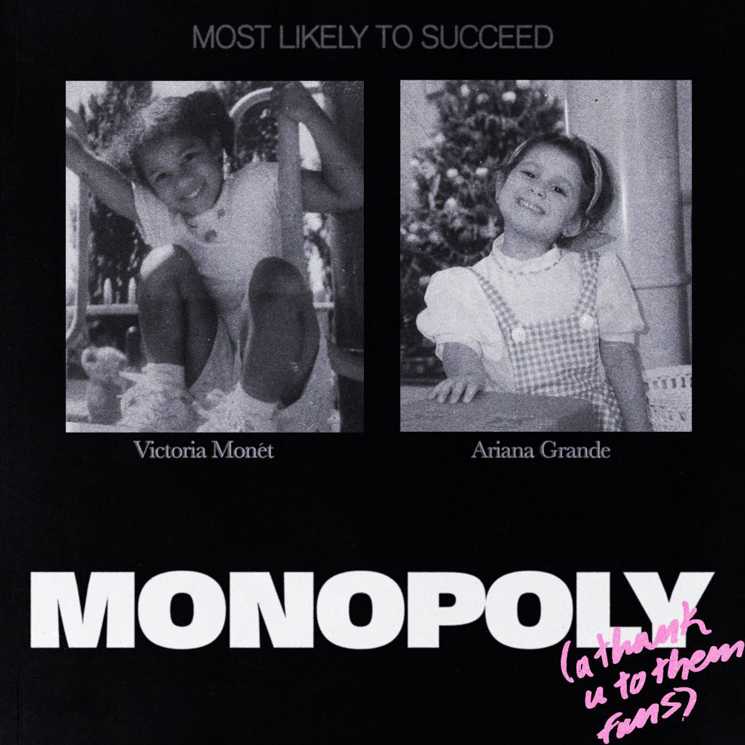 The singer has teased a brand new single called "Monopoly." It's set to arrive tonight at 5 p.m. EDT (provided this isn't a horribly cruel April Fool's Day prank). The track is a collaboration with her songwriting partner and bestie Victoria Monét and was presumably written and recorded while on tour. They're calling it a "thank u to them fans." UPDATE (4/1, 2:30 p.m. EDT): You can now hear "Monopoly" below, where it's arrived alongside a new video. The pair have been teasing the song on Twitter and Instagram over the past few days, and it seems to allude to Grande's chart-topping "7 rings" — a song that despite sitting at No. 1 for seven weeks, owes 90% of its songwriting royalties to Rodgers and Hammerstein for sampling "My Favorite Things." Check out some of their hints below while we wait for the full single to drop. See Grande's remaining tour dates here.